Apple still have to sell the unlocked iPhones in the U.S. Now the company has made plans to sell the unlocked sales in this big market. According to a report from 9 to 5 Mac, the company is ready to sell the unlocked iPhones in the U.S markets and the company will start selling through the online stores with the option of physical retail availability. According to this report, the unlocked iPhones will have the price as $649, $749 and $849 for the 16GB, 32GB and 64GB versions. According to the sources of this report, this phone will be made available unlocked from tonight beginning around 9 PMPT. Again this report claims that the delivery of these unlocked iPhones will also be made quickly depending upon the availability of the stocks of the phones. According to the sources of the company, the inventory of the unlocked iPhones is quite enough and hopefully customers will not receive problems regarding the supply of these phones. 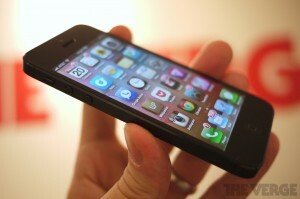 The customers will also have the option to make reserves of these unlocked iPhones ahead of any time. The unlocked iPhones of the same company are still available in other markets of the world like Candian markets. In these markets, these phones come in the form of SIM-unlocked that means the users can use them with the carrier of their choice and plan of their choice too. Before buying the unlocked iPhones, the customers will have to ensure that the version of the iPhone they select must be compatible with the network of their choice. Currently the Apple is offering two versions of the iPhone, one versions works with the Sprint and Verizon 4G network and the other version works with the AT & T. One thing is still unclear that whether both the versions will be made available unlocked or only one version will be there? This thing is not yet confirmed.